plays indoor and outdoor, lefty, plays hockey, and a physical game. has a BTB shot, can drive the GLE, seems like a dodge first attacker, mostly from the wing (makes sense, box game). 3D lacrosse club, brine natl classic, ontario JR A (burlington). he was selected fourth overall in the draft. Kaschalk was a nasty presence on the back half for Team Canada. A member of the Windsor Clippers Junior B program where he is a transition player, the 5-foot-11, 180-pound Kaschalk slid into a more defensive role and proved to be a nasty, physical and athletic presence for Team Canada. He made hard contact with his cross checks and played with a berserk manner throughout Saturday and Sunday, finding himself in the box a couple of times following some enforcement activities. But he also showed skill and speed handling the ball up the floor, even adding goal in transition. nisky (wolff) is 14-2, also byrne & shepherd are seniors. munoz (grippe too) at ward melville defeated smithtown east to stay alive. hebert and st. michael's college are 23-5, and just defeated st. andrew's college. they next play upper canada college on wed. hebert has a 6.12 GAA this year. roros at northport lost a double OT game to smithtown west in the opening round. morris and columbia central lost to queensbury. morris scored twice with the pole. munoz (grippe too) at ward Melville (nagle's alma mater!) beat whitman, connetquot, and Syosset. the next play Lakeland today in the class A state final. over those three games, munoz scored 6,3 and grippe had 5,6. The Patriots are riding an eight-game win streak into the Class A state semifinals, thanks to a stingy defense that has not allowed any opponent to score more than eight goals during their run. 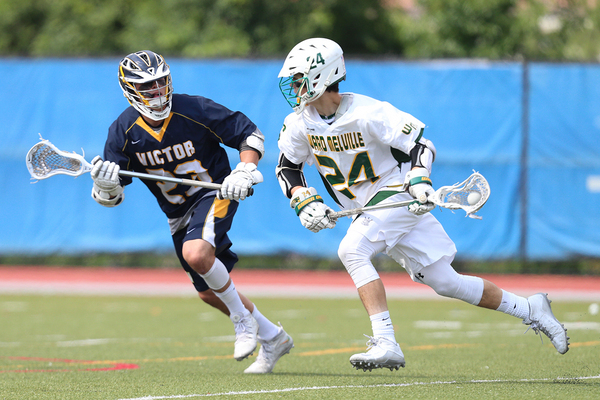 Ward Melville topped Connetquot (N.Y.), 13-5, in the Suffolk A championship, then followed that with a 9-5 win over Syosset in the Long Island Class A championship game as Connor Grippe (Stony Brook) finished with two goals and two assists. Eddie Munoz (Stony Brook) added three goals for the Patriots, who face Lakeland/Panas in the state semifinals Wednesday. cassidy at shoreham (18-2) beat comsewogue, and then Sayville to win Suffolk B. then, they beat garden city to win LI, giving up only 15 goals during the stretch. they play Yorktown today for class B.
wolff (byrne and shephard too) at nisky defeated guilderland (byrne had 4) but was upset by Shen in the Section A finals. hebert and st. michael's college are now 29-5, rattling off six more wins. The Patriots (18-4) bounced back to take a 5-4 lead as Connor Grippe scored with 5:08 left in the third, and then Eddie Munoz took a feed from Dominic Pryor and beat Victor goalie Chayse Ierlan 55 seconds into the fourth quarter. The result was three straight Victor goals as Dan Barrow and Ryan Maloney tied the game with goals one minute apart, and Andrew Russell’s goal at 8:08 gave Victor a 4-3 lead. Grippe tied the game three minutes later with another goal on the run, and Eddie Munoz fired a rocket past goalie Chayse Ierlan at 11:05 of the fourth quarter for a 5-4 lead. 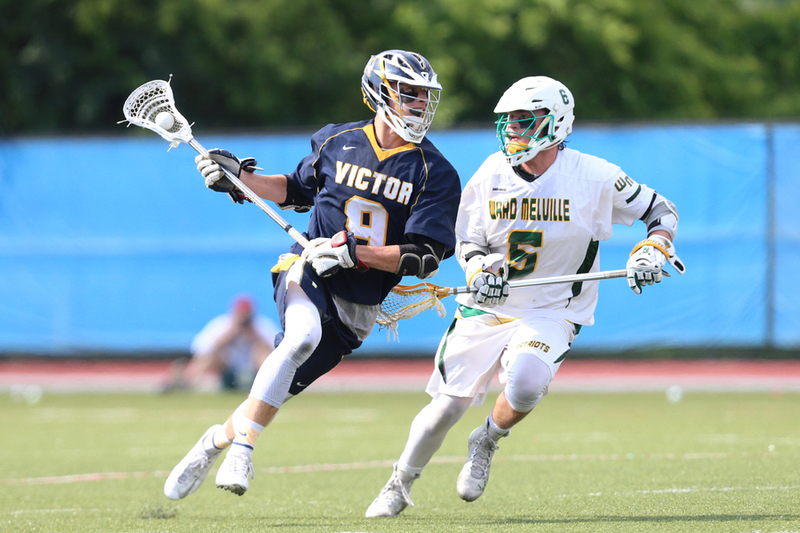 Senior attack and midfielder Connor Grippe bounced in a good goal before Victor scored unassisted with its first goal of the game for a 3-1 halftime advantage over a team that averaged 16 goals per game up to that point. Victor proved why it is undefeated though, and scored three unanswered goals before Grippe moved the ball to the middle and stretched the netting unassisted, to knot the game at four goals apiece with 5:08 left in the third. The teams remained in a stalemate until the fourth, when junior attack Eddie Munoz rocketed a shot between the pipes from up top to give the Patriots a 5-4 advantage, but again, the Blue Devils proved what they are really made of. 3D new England, 3D tristate, blue chip rising juniors, team cape cod, crossroads select U15, etc. Also plays golf. Hingham’s Frankie Higgins and Falmouth’s Nolan Enneguess are two high-caliber FOGOs. Higgins is one of the few long poles that consistently takes the draw, while Enneguess is full-time midfielder, rather than a specialist.